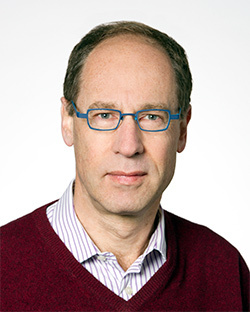 Home › Faculty & Staff › Waitzer, Edward J.
Edward J. Waitzer has been the inaugural Jarislowsky Dimma Mooney Chair in Corporate Governance, a joint appointment between Osgoode Hall Law School and the Schulich School of Business at York University, since 2007. Previously, he was the Falconbridge Professor of Commercial Law (2005–2006) and served as an Adjunct Professor at Osgoode. He teaches a range of courses including Business Associations, Corporate Governance, Investor Protection, Mergers & Acquisitions and an “Art of the Deal” seminar. He was Chair of Stikeman Elliott LLP from 1999 to 2006 and is a senior partner whose practice focuses on complex business transactions, public policy and governance matters. He has previously served as Chair of the Ontario Securities Commission (and of the Technical Committee of the International Organization of Securities Commissions) and as Vice-President of the Toronto Stock Exchange. He has written and spoken extensively on a variety of legal and public policy issues and has served as director of a number of corporations, foundations, community organizations, editorial boards and advisory groups. He currently serves as Vice-Chair of a major Chilean public company. Graduate Research Supervision (LLM, PhD): Professor Waitzer's interests focus on corporate law and governance issues - particularly corporate governance and use of legal remedies to address challenges of governance with respect to systemic risks.